USA Ambassador's Residence Sold For Cheap? What happened to the $2.5 million Ghana got from the sale of the US Ambassador's Residence in Washington? 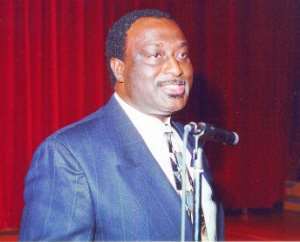 If you recall, Minister of rade and PSI, Alan Kyeremanteng, was mandated to quickly dispose of the Ambassador's Residence when he was he Ghana envoy to the US. He sold it under the market value, i.e. $2.5 million in 2002? Ghanaians were made to believe that the Residence was 'sinking' into the ground and that was the reason for the reduced sale price! Two years thereafter the value of the same house has appreciated and listed at $4.2 million The Phillipino buyers have already doubled their investment! Alan Kyeremanteng, JH Mensah, Realtors Ekuban and Asociates indeed owe Ghanaians some mighty explanation, as does JA Kufuor, President!